The Swiss Centre for Occupational and Environmental Health (SCOEH) conducts research on factors that contribute to a healthy workplace and environment, and shares its insights by consulting for governments and companies, and by educating workers, managers and university students. We see health as a broad concept that is more than just the absence of disease; instead, it is a state of physical, mental and social well-being, as defined by the World Health Organisation (WHO). (http://www.who.int/about/mission/). Professor Michael Riediker is the founder and director of the SCOEH. He is an internationally experienced expert on occupational and environmental health issues resulting from exposure to particles in air and water, allergens, gases and related agents and circumstances. 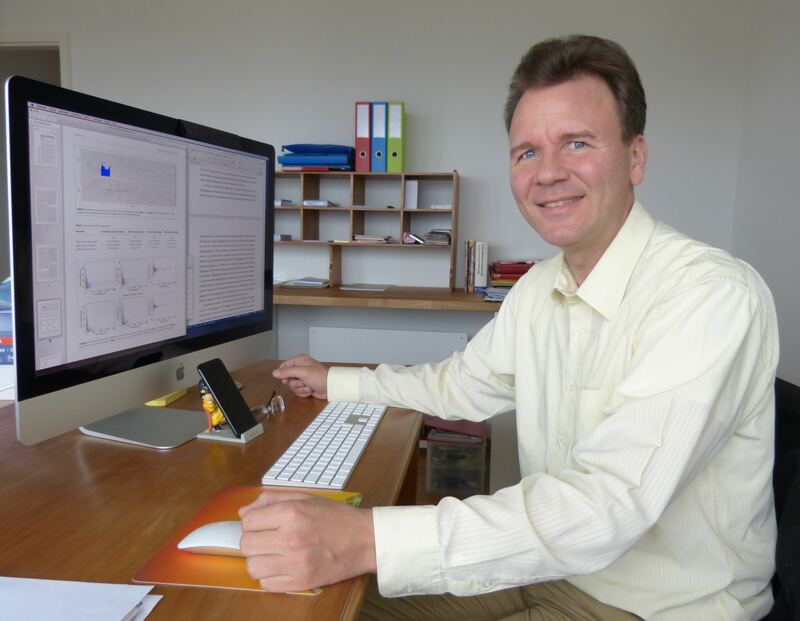 In 2000, he obtained his Doctor of Sciences at Switzerland’s renowned Federal Institute of Technology, ETH Zurich (www.ethz.ch), on the subject of allergens and air pollution in the city of Zurich. In the same year, he completed his Master’s of Advanced Studies in Work and Health, also at ETH Zurich. Since then, Michael has gained experience in managing exposure and health projects in North Carolina, USA (2000–2003), ETH Zurich (2003) and at the University of Lausanne (2004–2015). From 2013 to 2018, he helped build IOM Singapore Pte Ltd, where he became Director of Research (2017–2018). Michael founded SCOEH on 9 February 2018. He is a certified occupational hygienist in Switzerland (www.sgah.ch), a Graduate Member of the international chapter of the Institution of Occupational Safety and Health (www.iosh.co.uk) and a Registered Industrial Hygienist in Singapore (www.oehs.org.sg). He has been a private lecturer at the University of Lausanne (www.unil.ch) since 2006 and a professor at the School of Materials Science and Engineering, Nanyang Technological University (www.ntu.edu.sg), Singapore, since 2016. 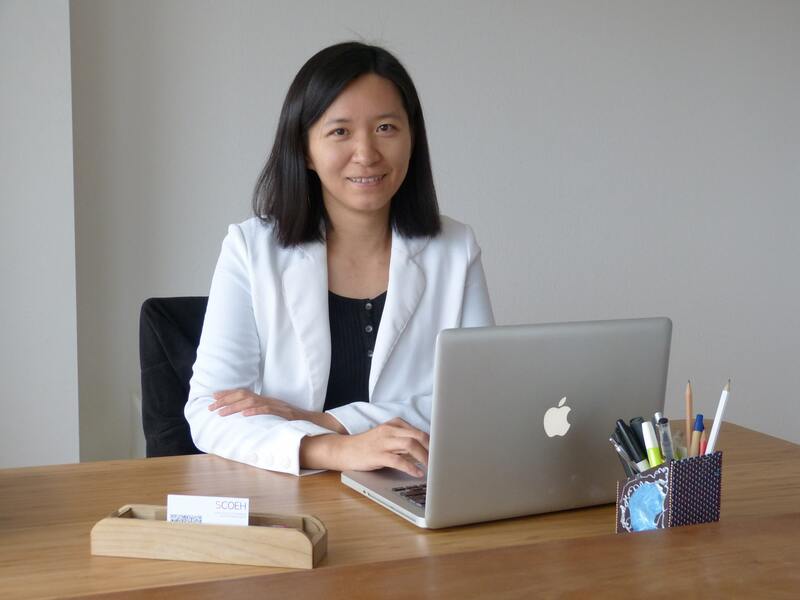 Dr Dai-Hua “Maggie“ Tsai is responsible for public health issues. She has many years of experience in the epidemiological investigation of how particulate matter affects circulatory factors such as blood pressure, sodium excretion and inflammation. After an MSc in chemical engineering, Maggie received her PhD in Public Health from the National Taiwan University (www.ntu.edu.tw) in 2008. As part of her doctorate, she conducted a commuter study measuring particle exposure in four different modes of transportation in Taipei city, analysed the association between traffic-related air pollution and cardiovascular mortality across Taiwan, and carried out a sampling campaign on the distribution and concentrations of ultrafine/nano-scale particles in bus stations and scooter parking lots. Maggie came to Switzerland in 2009 and worked at the University of Lausanne’s Institute of Social and Preventive Medicine (www.iumsp.ch) until 2016. She dedicated this time to the study of the effects of air pollutants on the health of the populations of Lausanne, Geneva and other Swiss cities and published the findings in high-impact scientific journals. SCOEH offers highly competent, impartial, transparent research and consultancy services carried out using scientifically-based means and methods. SCOEH is committed to high standards. In particular, we adhere to the rules of scientific integrity set out by the Swiss Academies of Arts and Sciences, our work involving human research is carried out according to the Declaration of Helsinki’s rules, and we take into account existing national and international norms and standards wherever possible. SCOEH puts ethics before business. We do not accept orders or funds from ethically questionable companies or organizations. We follow the principles of the World Health Organization (WHO), which, for example, defines the arms and tobacco industries as incompatible with its activities.